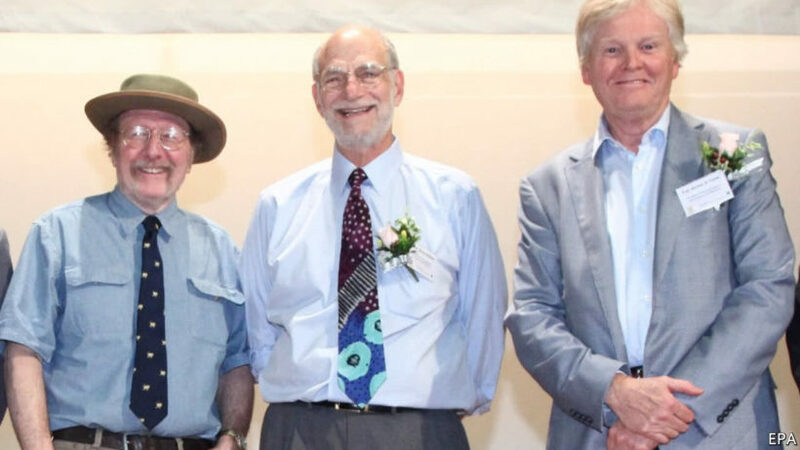 2017 Nobel prize for medicine winners: L to R: U.S. scientists Jeffrey Hall, Michael Rosbash and Michael Young. 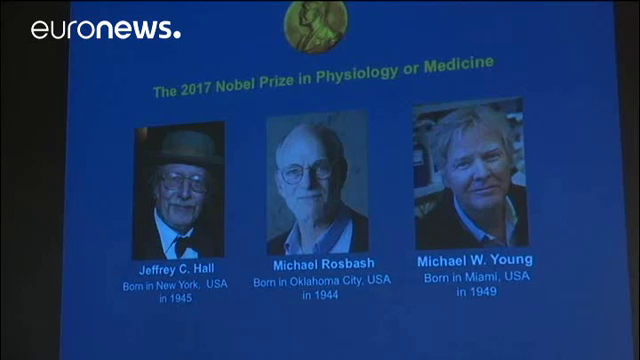 (by Niklas Pollard and Ben Hirschler, Reuters) STOCKHOLM/LONDON – U.S. scientists Jeffrey Hall, Michael Rosbash and Michael Young won the 2017 Nobel prize for medicine on Monday for unraveling molecular mechanisms that control our internal body clocks. “This ability to prepare for the regular daily fluctuations is crucial for all life forms,” Thomas Perlmann, secretary of the Nobel Committee, told reporters. Scientists now understand that body clocks influence alertness, hunger, metabolism, fertility, mood and other physiological conditions. And researchers have begun to study the implications of erratic sleeping and working patterns [on] children who stay up late. Even plants have body clocks. 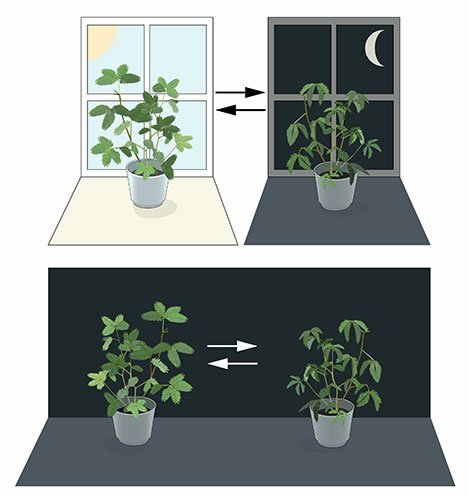 Plants open during the day and close at night, but Jean Jacques d’Ortous de Mairan found that even plants kept in constant darkness continue to follow a similar rhythm. 4. a) Describe the doctors’ discovery. b) What impact has the discovery had on medicine? 5. What was surprising to Dr. Young about their research? The prizes are always handed out in ceremonies on Dec. 10, the date that prize founder Alfred Nobel died in 1896. This is a Nobel Prize-winning discovery because it shows how biology regulates body clocks for living organisms ranging from fruit flies, which these researchers worked with, to humans. As biological creatures, we can’t all be at peak energy throughout the day. Sometimes we need to be on high alert and able to react quickly. At other times, we need to eat, rest, and sleep to regain energy. Our body clock regulates these phases, which is why most of us sleep at night and are awake during the day — though there’s significant variation among people as to when we feel most awake and most asleep, regulated by genetics and other factors. 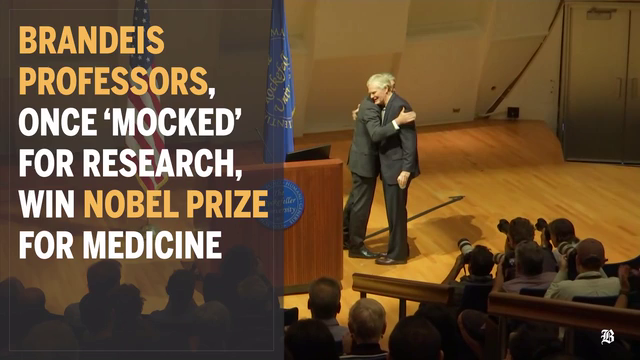 Visit the website to read about the Nobel Prize in medicine.